This month our special pet is Zoey. 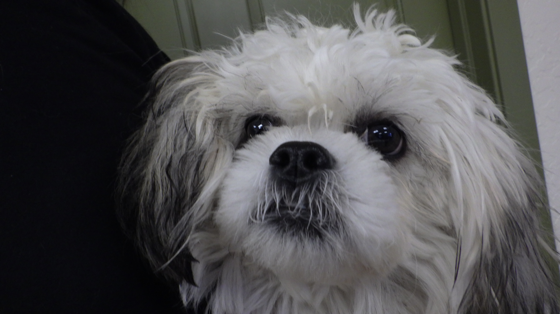 Zoey is a 8 month old Shih Tzu who came to Dentistry for Animals with a jaw fracture (held in place with a muzzle), retained deciduous teeth and a couple unerupted teeth. Dr. Force did a difficult repair on the fracture with figure 8 wire, around a partial erupted tooth, and composite splint. Even though Zoey went through a long recovery, with a muzzle on her nose the first month and a e-collar on her head for the majority of the time, Zoey’s jaw healed beautifully (as shown above). Zoey is now able to continue on as a happy puppy with her loving family.